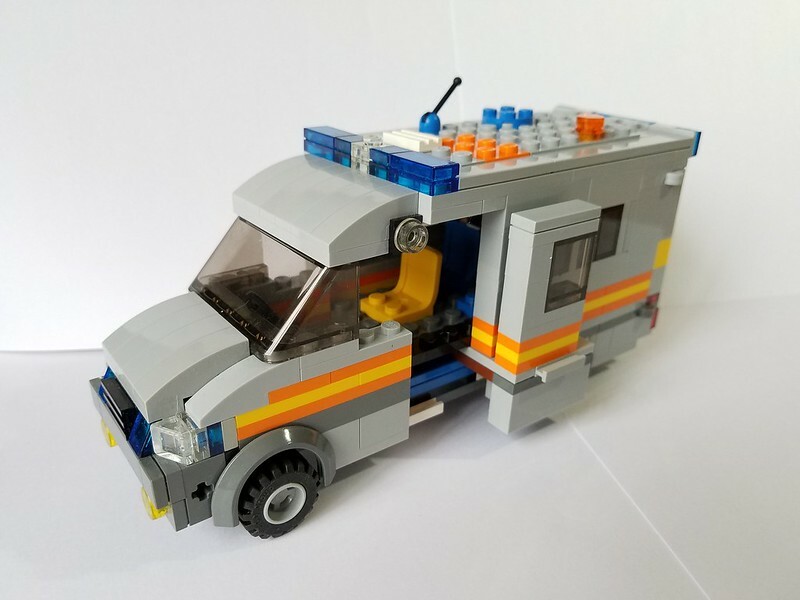 This is a model of public order van of the Territorial Support Group of the Metropolitan Police Service in UK, it is a Mercedes-Benz Sprtiner. 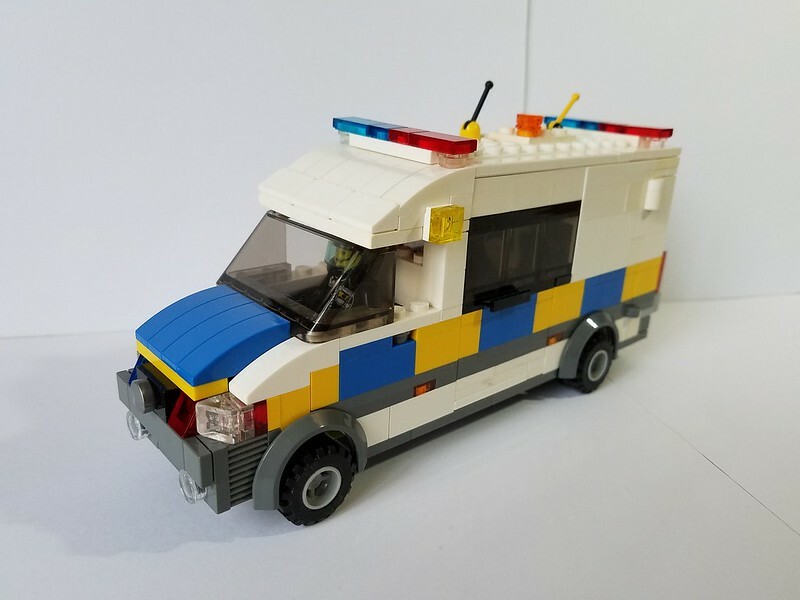 I see most police forces used standard van (i.e. constant width), but this tailored made box caught my attention, as this type of design is usually used on ambulance, not police vehicle. I still see this van in service in August 2016 when I was visiting London briefly. 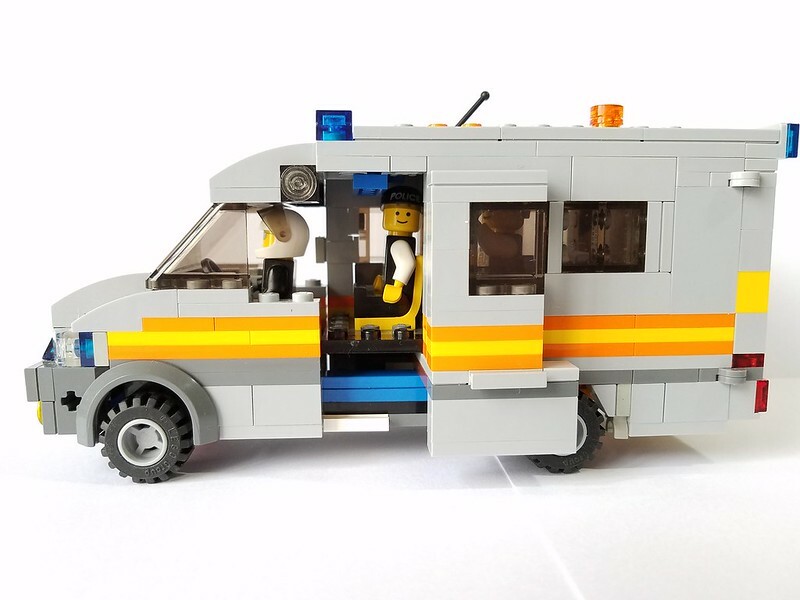 The van is a 6-wide cab with a 7-wide box. 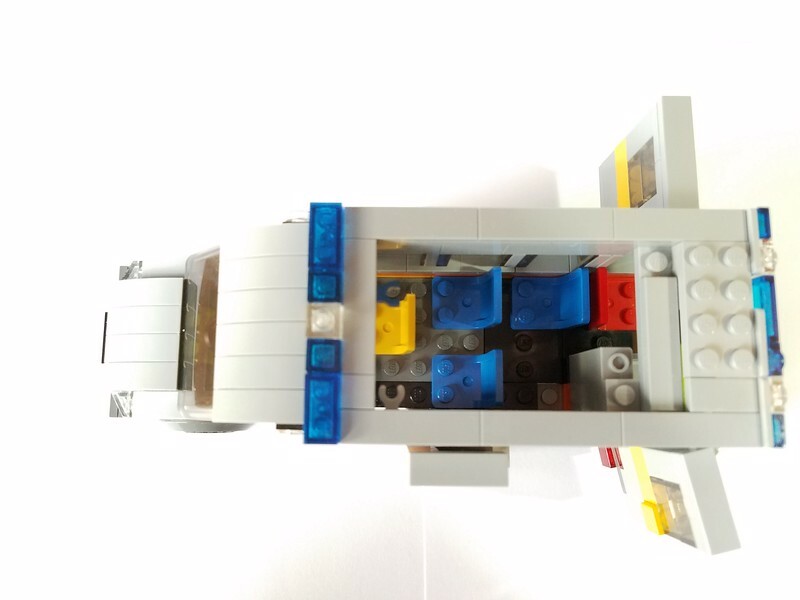 It can carry up to 6 persons comfortably,and is fitted with a sliding door that is made purely on plate, tile and bricks, I did not use Technic parts for the sliding door as they tend to break easily. 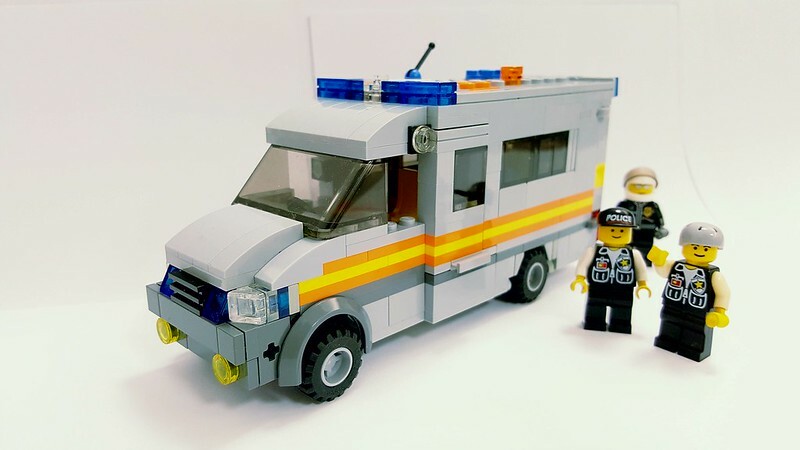 The white van is based on the Bath Police (Avon and Somerset Constabulary) which was posted on EB 2 years ago. It had gone several major changes. I have not used any sticker in most of my projects, as I am not good at designing or applying stickers. 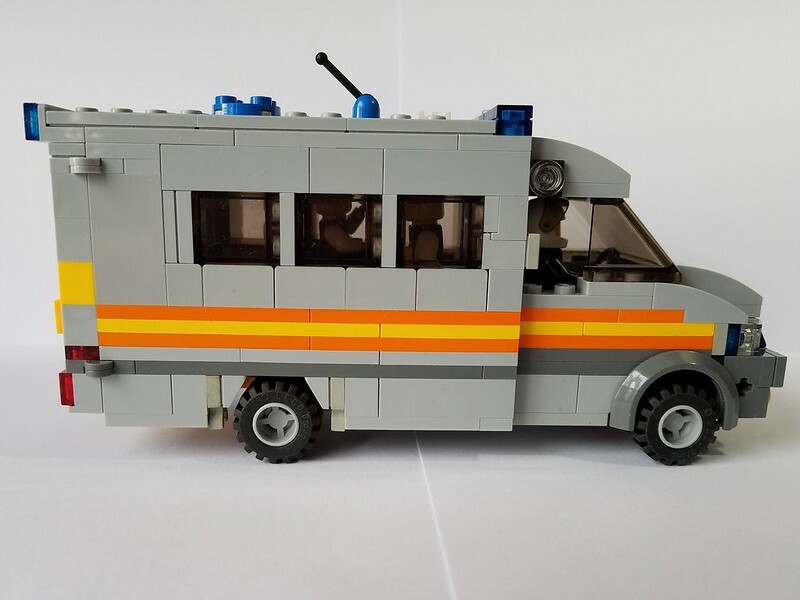 Recapturing the livery using lego bricks therefore makes it more challenging and fun. 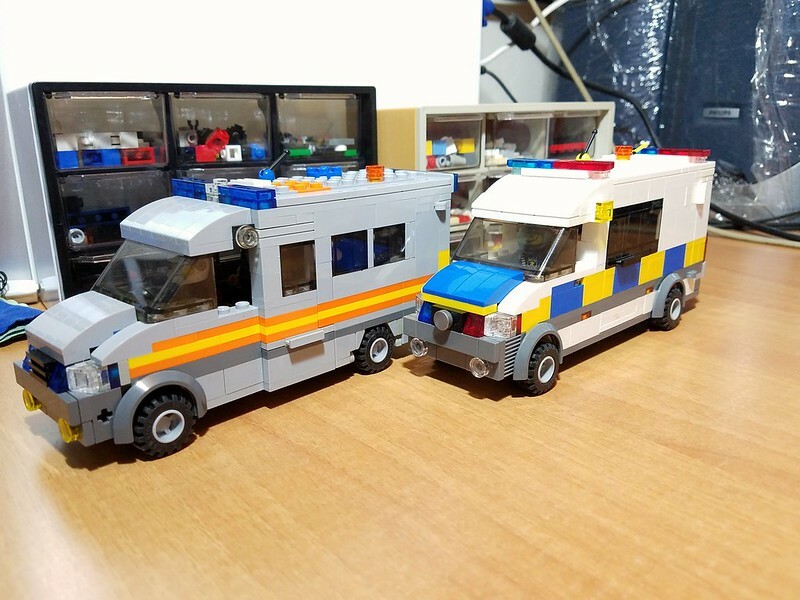 I am pleased with these 2 MOC. Excellent designs there 'PUCI', they look very realistic indeed. 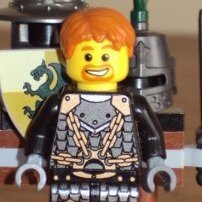 Great to see that the minifigs can sit side by side too.